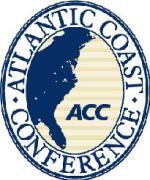 Beginning this 2008 football season, the ACC will be the first conference to implement injury reports. Coaches can now submit levels of injury in the twice-weekly release announcing their players’ injury status. The list ranges from "out" to "probable" -- but will not address specific injuries. This type of system was adopted from the NFL who lists players as out, doubtful, questionable, and probable. Both the ACC and its coaches agree it will benefit coaches and spokespersons who will no longer have to answer daily questions about player injuries and their specifics. This is Josh Jones signing off! Will the new rule change give coaches some relief?